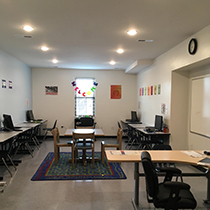 KEYS Academy Augusta is a Private Day School licensed by the Virginia Department of Education to serve Special Education students in grades K through 12. We are located at 268 Draft Ave, Stuart's Draft, VA 24477. Our Phone number is 540-712-2443. If you need to reach us by fax, our fax number is 540-490-4528. If you would like to contact us, please click here. The end of the third quarter is quickly approaching here at KEYS Academy- Augusta. Our elementary, middle and high school students are prepping for their Spring SOLs. All three classrooms have been working hard on building their writing skills to help them with upcoming assessments. Our high school students have been “Focusing Forward” this quarter. They have been working towards creating long term and short-term goals related to their future. The high school students have been spending time building resumes and holding mock interviews to help prepare them for job readiness. They have had the opportunity to visit Valley Career and Technical Center. While there, they asked various questions about the different programs offered as well the requirements to attend as a student. Our middle school students have been putting a lot of focus on “Who Matters” as they work towards building healthy peer relationships. Each student has been able to recognize positive characteristics in their classmates. Academically, they have been learning about the parts of the body and how they function. Each student created a model lung by using a soda bottle, straw and a balloon. The middle school students and staff have taken the initiative to help us treat the Earth kindly by helping recycle the plastics that we use daily at KEYS Academy. Our elementary school students have been working on “What’s in the Way”. Each student has been able to communicate with their staff “what’s in the way” when they are having a hard time. The students have also been working on turn taking and good sportsmanship. They all love playing crazy 8’s and have invited the Director to come down during socialization to play a few hands. Lastly, we are proud to announce that KEYS Academy- Augusta is licensed to operate through February 28, 2020 based on our recent visit from the Virginia Department of Education! 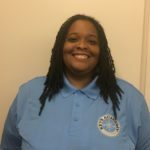 KEYS Academy-Augusta opened its doors on August 7, 2018 with 11 students and 6 staff members. We will continue to add students and staff throughout the fall and spring semesters. Our staff and students have been warmly welcomed by the town of Stuarts Draft and the County of Augusta, and we look forward to settling into our renovated space!